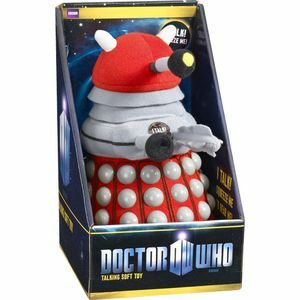 From the ultimate soft SF series, a plush Dalek. Found here if you want to buy one. I'm not a scientist though I love to learn science. I'm not an engineer though how some things are put together sometimes fascinates me. As a reader I don't need to know everything about the world of the story, either. I just need enough to fill in the blanks with my own experience which allows me to build expectations and thoroughly enjoy the tale being told. I've said that before but it constantly bears repeating, don't you think? Give me enough to visualize the world and enjoy the story but don't bore me with technical details. That is, of course, how I approach my own writing. I've said this here before, too. I'm much more interested in people and how they interact than I am why the interactions work or don't work. People are irrational, illogical, mistrustful, deceitful, sometimes transparent or naive, and way more complicated than they should be in some situations. Motivations are more interesting than anything else to me. I like to be surprised by the reactions of characters in situations. Back story matters. Where the science part comes in is when I'm building the settings for the stories. I need to know that certain things can happen. If they're possible. They have to work logically in the stories but they don't have to be 'real'. The science I put in my stories has to be 'real enough' and plausible. I don't pretend to be some kind of seer or visionary, just a storyteller. I'm not Jules Verne or H.G. Wells or Arthur C. Clarke or anyone else like that. I want interesting people using reasonable science to get out of situations. So what I write is by nature if not definition 'soft' SF and I'm okay with that. I want the reader to be as entertained by my stories as I was writing them. I can tell when I'm slogging through something and I'm sure the reader can, too. However I can't abandon stories any more. I have to finish them after they're started. Completing the thought is just as important as having it and I always learn something from having done the work. Soft SF or 'hard' SF? Which is your favorite? Who's your favorite SF author? Tell me. Eventually I'll have time to read some more stuff so lay your suggestions on me, willya?